At Newmart Builders, we’ve earned a solid reputation for our durable, affordable steel buildings made with American steel. In fact our customers love the convenience and affordability of our garages and carports for storing vehicles, boats, supplies, and equipment. But did you know that our steel buildings can be customized to create the ultimate workshop or hobby center, too? Whether you’re a novice or a seasoned woodworker, you’ve probably dreamed of having a space dedicated to your favorite hobby. Are you using your home’s garage right now and always need to move the car before you get started? Have you outgrown that old, cramped shed and want more space and convenience? Or maybe having your own workshop is just a dream at this point. At Newmart Builders, we understand that having the right workspace can make all the difference. You want a space that will provide plenty of room for all of your machinery, from the table saw and joiner, to a chop saw, sander, or lathe. Plus you need space to move long pieces of lumber, along with plenty of storage for all of your tools, hardware, and finishing supplies. Most woodworking shops are built around a sturdy workbench, but when you have the room, you may also choose to incorporate a router table, finishing station, or even a desk area to work on project drawings. If you’ve looked into building your own custom garage or workshop, you know it can be expensive and time-consuming to build. But, Newmart Builders can help you build the perfect woodworking shop for a fraction of the cost of traditional construction. Our durable, prefabricated metal buildings are affordably-priced, easy to install, and come in sizes starting at 12’ x 21’, so you’re sure to have plenty of space for everything you need. Plus, we can build your shop in virtually any size you need! Would you love to have a space to hang out with your buddies, watch the game, or play pool? 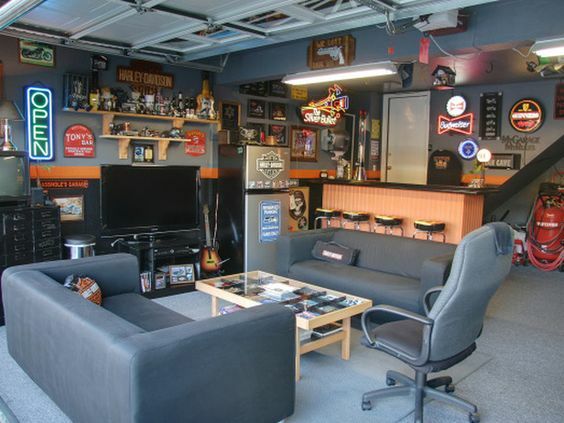 It’s easy to create the ultimate Man Cave with a prefabricated metal garage or workshop from Newmart Builders. Imagine a space designed just the way you want it. 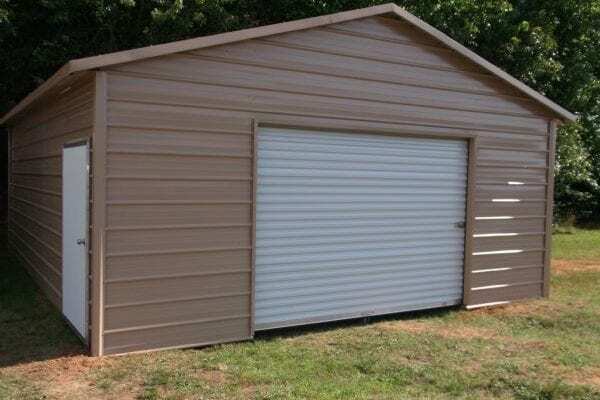 Rather than remodeling a room in your home and dealing with space constraints or existing obstacles, building a prefabricated garage is easier and more cost-effective. Plus, think of the added privacy of your own space, located away from the house. Turn the music up. Hang that favorite sign or poster on the wall. Paint a shuffleboard court on the floor. Display your shot glass collection with pride. Build that crazy bar you’ve always wanted. With sizes starting at 12’ x 21’, you’re sure to have plenty of space for sectional furniture, your favorite recliner chair, a big screen TV, fully stocked bar, video games, media center, or anything else you can think of to make your space your own! The man of the house isn’t the only one who craves space of their own. That’s why She Sheds, also known as Femme dens, lady lounges, or lady lairs are gaining in popularity. If you dream of a quiet spot away from the kids, the husband, or just the hustle and bustle of daily life, building your own private sanctuary could be a great option. Shelves of books, a nice comfy chair, a favorite throw, and some cozy lighting are all you need to create a quiet reading nook. This could also be a great spot for writing or journaling too. Add a TV and you’ve got a great place to binge watch your favorite Netflix shows in peace. Crafting is also a popular activity in many She Sheds. 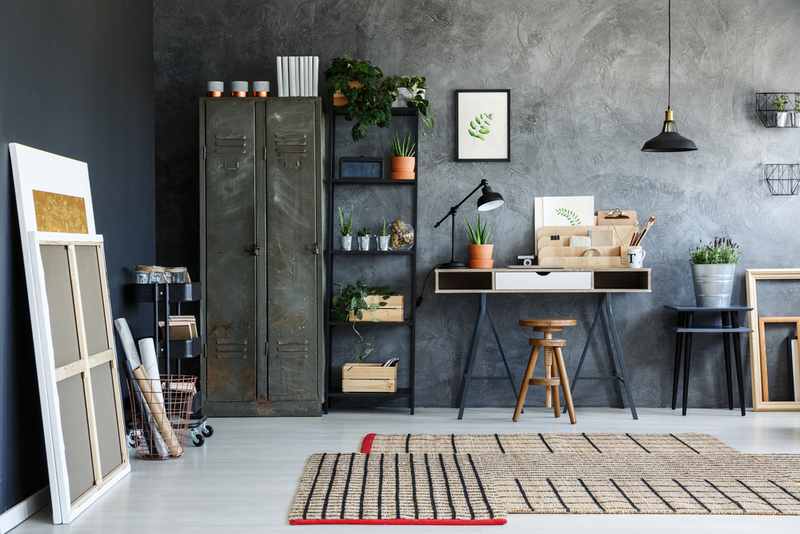 Imagine having plenty of space for a craft table or workbench, shelves and bins for all your crafting tools, and a place for your growing collection of magazines, Washi tape, stamps, scrapbooking ephemera, and more. Many women also use their She Sheds as a meditation room or yoga studio, adding simple furniture and a waterfall or fountain to enhance their peaceful retreat. Of course, it’s also possible to combine activities, especially when you have plenty of space. 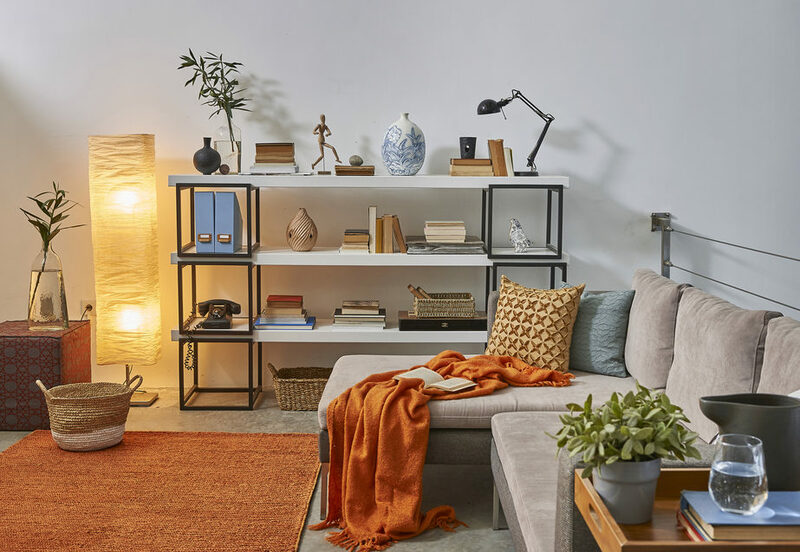 You might choose to add a sofa or comfy chair that works for reading and guided meditations, while adding a workbench or craft table nearby for when you’re feeling creative. If you’d like to do yoga or other exercises, lots of open floor space is great to have too. Our durable, prefabricated steel buildings provide plenty of space with lots of custom options to suit your style. Whether you’re into photography, music, crafting, or painting, having a private space to engage in what you love can feel like magic. If you’ve been thinking about adding a room to your home or remodeling an existing space, you may want to consider a standalone building instead. At Newmart Builders, our standalone, steel buildings are affordably priced, easy to install, and provide privacy that’s hard to come by in most homes. With sizes starting at 12’ by 21’ you’ll have plenty of space for all of your tools, supplies and equipment, along with plenty of room to stretch out and move around. Plus, we have plenty of options for just about any hobby. Artists and photographers can add extra windows or even a skylight to let in tons of natural light. Musicians will appreciate being able to crank up the volume without disturbing family members. For painters and crafters, the possibilities are truly endless with plenty of room for a workbench, crafting table, shelving, storage bins, and so much more. If you work from home or run your own business, establishing a separate home office can help increase productivity and improve work/life balance. But traditional remodeling and construction projects can be expensive and time-consuming. And renting or leasing office space can put a strain on your budget. At Newmart Builders, we offer an alternative to expensive traditional construction, with durable, versatile steel buildings that can easily become the perfect home office. Endlessly customizable, our steel buildings offer the privacy you need with plenty of space for your desk, computers, storage, and even a comfy place to relax with a cup of coffee while you review your latest presentation or go over next month’s budget. Our standalone buildings are also the perfect option for meeting with clients, too, providing plenty of space and privacy for business meetings, therapy sessions, or consulting appointments. Though we’ve only covered five examples here, we hope you can see the endless possibilities that our metal buildings offer to create a truly unique space you’ll love to call your own. Whether you’ve been planning your dream workshop for years or just started doing some research, we’d love to talk with you about our affordable workshop options. Located in South Hill, Virginia, we manufacture and install our steel buildings throughout the East Coast. Get in touch with Newmart Builders today!